Joe and Anthony Russo’s The Avengers: Infinity War movies are very special in the grand scope of the Marvel Cinematic Universe. Not only is it the first two-parter that the studio is putting together, but it’s truly expected to be the event to which every movie up until its release is really leading. Screenwriters Christopher Markus and Stephen McFeely are currently hard at work on the script, but there is one particular catch: they won’t really be entirely sure how everything will work until all of the other movies in Phase Three are finalized. Christopher Markus: And you know, we write it, we assume when we write it and rewrite it and rewrite it, as more information comes in, we will be adjusting. When we’re turning in the first draft, it’s absolutely that, a first draft, and we’ll go through a lot before we get to November. The good news for Christopher Markus and Stephen McFeely is that all of the films coming out in between Captain America: Civil War and The Avengers: Infinity War Part 1 are pretty stacked with creative talent in all of the important positions. This list of titles includes Scott Derrickson’s Doctor Strange, James Gunn's Guardians of the Galaxy Vol. 2, Jon Watt's Spider-Man: Homecoming, Taika Watiti's Thor: Ragnarok, and Ryan Coogler's Black Panther. Of course, the two parts of Infinity War mean that the epic blockbuster is sandwiching both Peyton Reed’s Ant-Man And The Wasp and the director-less Captain Marvel, which they have to take into consideration as well. 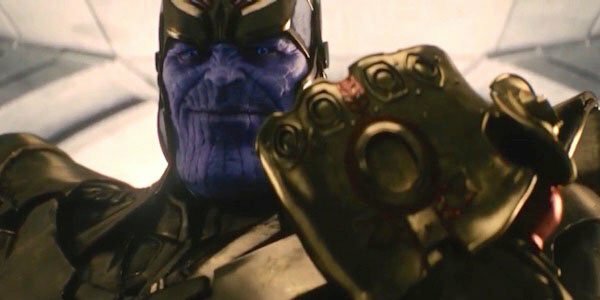 The Avengers: Infinity War Part 1 (which will probably wind up with a new title before too long) is currently on track to hit theaters on May 4, 2018. Be sure to stay tuned here on Cinema Blend for more updates as they roll in, as well as more from my interview with Christopher Markus and Stephen McFeely!